Our county is building a notable reputation for fine wines at wineries right here in our own backyard. Check out the wineries below that grow or source grapes from San Diego County. Located in the foothills of Alpine, Ca. (3000ft elevation). Rock Canyon specializes in handcrafted, unfiltered fine wines. By using a variety of different oaks(French, American & Hungarian), we are able to bring forth a unique flavor in our wines. We strive to find “old vine” grapes throughout San Diego County to provide a mature, full bodied wine. Campo Creek Vineyards, located on Hwy 94 in South East San Diego County, is a small, family-owned and operated vineyard that began in 2003. We are currently in our 11th season of producing luscious wine grapes and since 2012, we have been producing and selling our estate wines (Merlot, Cabernet Sauvignon, Syrah and Viognier). Nestled in the hills of the San Pasqual Valley in Escondido, you’ll find Cordiano Winery, a family-owned and operated vineyard that takes pride in the craftsmanship of good wine and of the labor practiced for ages in the old country. The winery is a lifelong dream realized; a reflection of the love and passion of its proprietors, Gerardo and Rosa Cordiano. Highland Valley Vineyards is a boutique micro winery perched on the edge of beautiful Highland Valley in the San Diego foothills. On our hillside vineyards, we grow Bordeaux variety grapes and together with other fruit carefully selected, we hand style robust red wines. Our special interest is big red wines with full body, a great finish but retaining nice fruit and nose. Following an Embly generational tradition of family farming since 1900’s, Hungry Hawk Vineyards is a family run business established in 2008. We take great pride in doing things well and we believe our wine reflects this aspiration. May the fruits of our labor bring enjoyment from our family to yours. Hours of Operation: Friday and Saturday 11 am – 6 pm, Sunday 11 am – 5 pm. Other days and times by appointment. Stehleon Vineyards’ wines are San Diego grown and produced. Al manages small, custom vineyards which are hand pruned and the fruit hand harvested. A family run business, daughter Alysha is the winemaker at their urban winery and tasting room in Escondido. With their own vineyard of Rhone varietals now in production, Stehleon Vineyards is expanding its offerings of wines that always pair well with friends. Vesper is an urban winery creating vineyard designate wines from the best San Diego vineyards.The goal of Vesper Vineyards is to expose wine drinkers to the diverse microclimates San Diego has to offer in one winery. 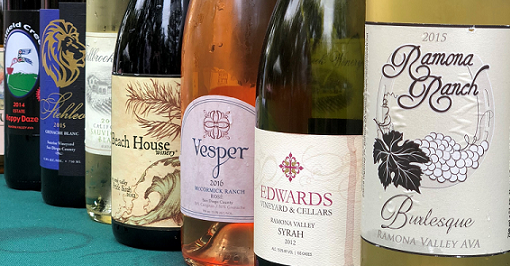 Vesper Vineyards is a winery that focuses exclusively on San Diego County fruit, sourcing grapes from all areas of the county. Focusing on what the vineyard has to offer, each wine is meant to showcase the vineyard and the microclimate it was grown in. We not only support local grapes and wine but all local agricultural. Unique business model producing multiple award-winning wines without a tasting room. Order retail 24/7 online, by hand held device, phone orders, loyal wine clubs with special discounts/private educational events, wholesale to restaurants, tasting bars and wine shops. Family owned and operated. Totally 100% estate grown, produced, bottled and marketed right here in Poway, San Diego County, California. 100% solar powered, ecologically/environmentally sound sustainable agriculture practices. 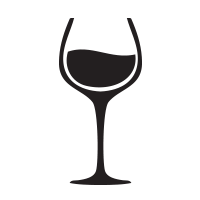 Specializing in 11 mediterranean varieties: Syrah, Grenache, Mourvedre, Viognier, Primitivo, Petit Sirah, Petit Verdot, Nebbiolo, Aglianico, Tempranillo, Cabernet Sauvignon. French, Italian, old world/european style with the help of state of the art technologies in our vineyards management and winemaker skills. Hours of Operation: Noon – 4 pm, Sat and Sun by appt. Award winning, very small boutique estate winery producing Tempranillo, Cabernet Sauvignon, Malbec, Petit Verdot. 100% estate grown, produced and bottled wines. 5.5 acres of vines are planted, yielding approximately 900 cases per year. 2014: .75 acre of Albarino. Current releases include single varietal reds (Zifandel, Sangiovese, Malbec, Cabernet Franc, and a ‘SuperTuscan’ red blend), a white wine (Albarino), and in some years, a dry Rose. Wine Tasting Ramona Valley AVA, located in San Diego. Eagles Nest Winery offers breathtaking views from luxurious tasting patio, and a premium wine experience in the winery’s designer décor tasting room. We are a premier boutique winery and artisan distillery, with gold medal wines, ports, and wine-based spirits. Eagles Nest Winery practices organic, sustainable farming and uniquely avoids herbicides using environmentally friendly Olde English Southdown Babydoll Sheep to maintain the vineyards and estate. We produce vegan suitable wines, with protein-based clarifying agents. We are dog owners, and a dog friendly winery! Edwards Vineyard & Cellars is a family-operated vineyard and winery, producing small lots of distinctive handcrafted wines since 2004. All of our wines are from grapes grown on our family’s land in the Ramona Valley AVA (American Viticultural Area) or sourced from select vineyards within Ramona. With three acres currently planted to Syrah, Cabernet Sauvignon and Petite Sirah—our focus is on quality, not quantity. We produce about 300 cases annually, which showcase our main varietals; and we also produce a few seasonal red blends, rosés and dessert wines in very limited quantities. Check our website to see our current releases available for tasting and purchase. Bring a picnic and enjoy our view of the Cuyamaca Mountains! Hacienda de las Rosas Winery, Vineyards and Peruvian Paso Horse Ranch is a dream come true for our family. The winery and horse ranch is located in the countryside of Ramona, just north of San Diego. The essence of the Spanish wine-making traditions is the focus, with the main winery building modeled after the first of the California missions ~ San Diego de Alcala. The horse ranch specializes in Peruvian Paso Horses…the smoothest of Spanish riding horses. A golden Peruvian Paso horse named “Promesa de Perfeccion”, which translates to the “Promise of Perfection,” is featured on every bottle of wine. Our family-owned winery blends the best of two worlds ~ fine horses and fine wines. Where every hour is a happy hour! Award winning Estate Zinfandel, Petite Sirah and Field Blend wines plus locally grown white and rosé wines. Indoor tasting bar appointed with museum quality antiques. Every hour is a happy hour at Hatfield Creek. Wander the vineyard and discover picnic areas and a mediation labyrinth. Watch for the launch of Sunday Noon at Hatfield Creek in 2015. Gourmet fare from the wine maker’s cookbook paired with a glass of Estate wine. Hellanback Ranch is a boutique winery nestled in a secluded canyon east of Ramona. In addition to award winning wines made from grapes grown in the Ramona Valley, we raise cattle and pigs. Why do we call our beautiful ranch “Hellanback”? Watch the documentary on our website and get the whole story. Whether it’s your first visit to our “little farm” or you’re a regular weekend guest, we are sure you will find something to love here at La Finquita Winery & Vineyard. Try a little bit of everything with our signature wine tasting, or settle down with a glass of your favorite. Either way, you’ll be sure to enjoy our hand-crafted wines in the friendly, relaxing atmosphere of our indoor tasting room or with the stunning views from our comfortable tasting patio. Mahogany Mountain Vineyard and Winery is located in the sunny and beautiful Ramona, CA, 45 minutes from San Diego downtown. Our award-winning world-class wines are handcrafted from estate-grown grapes that highlight the Ramona Valley terroir. Mahogany Mountain wines have earned medals from a number of prestigious international commercial wine competitions on both coasts. Our tasting room, patio and vineyards are beautiful and relaxing for guests to enjoy our wines. Estate-grown grapes: Barbera, Cabernet Sauvignon, Merlot, Mourvedre, Muscat Canelli, Petit Verdot, Syrah, and Zinfandel..
Tasting room opening September 2015, opening times: midday to 6 pm Holidays, Saturdays and Sundays. All of our wines are estate grown and bottled so that visitors can truly experience the ‘terroir’ of the Ramona Valley AVA. The vision for Poppaea Vineyard is the use of varietals from three of the most prestigious regions in Italy – Piedmont, Tuscany and Umbria. Single varietal wines fermented from nebbiolo, barbera, montepulciano, sangiovese and sagrantino will be available as well as blends characteristic of those produced in Italy. We carefully craft our wines to be fruit forward and soft on the finish – no big, tannic bombs out of our winery! We hope that you feel the passion that went into our wines when you drink them. Hours: Open Friday – Sunday, 11 to 6 pm. Here at Ramona Ranch, the basics are what’s important to us, with a focus on creating a safe-place, be that for our guests, our vines or our many rescue animals. We’re invested in our shared future, continually improving on our journey to sustainability, and are proud to be San Diego’s only certified sustainable Vineyard and Winery. Our wines are clean, with no added harsh chemicals, and are made just as nature intended, in the vineyard from 100% handpicked grapes. This level of care is important to us, and we believe it’s important to you, our friends and guests. We are proud of our team, and invite you take a moment to come by, say hi and try our local, award winning wines here at Ramona Ranch Vineyard and Winery. We pride ourselves on quality over quantity. Our focus is growing, harvesting, crushing and producing the best grapes our land has to offer. In return, the wine we produce is of the highest quality. We proudly bear the San Diego County Farm Bureau’s San Diego Grown 365 seal, representing our locally grown grapes and locally produced wines. We are now taking reservations for weddings and events.